Compare fixed fee quotes from 960+ employment lawyers. Save 46% on average. Employees are the backbone of any growing business. Building a strong team takes time and effort - there are no shortcuts. From the moment you shake hands with your newest hire, to signing on the dotted line; from disciplinary procedures to dismissal, employment law underpins each decision you make. Whether you’re a business owner, manager, or HR professional, having a good employment lawyer on board is essential. At Lexoo, we’ve curated a panel of lawyers who specialise in employment law. Whether you need a full service firm; an independent lawyer or ‘virtual’ firm with lower overheads and reduced fees - we’ve got you covered. We’ll find you specialists in any type of employment matter such as employment contracts and policies, handling disciplinary and grievance issues, and dismissal. Simply tell us your requirements and you’ll get multiple, fixed-fee quotes within 24 hours from a selection of employment lawyers, handpicked to suit your needs. The service is 100% free - give us a try. An employment contract can exist as soon as a candidate accepts your job offer, (even if it’s not in writing). In any correspondence where you are offering someone a job, make it clear that the contract will consist of written terms and conditions and shall follow at a later date. Within the first two months of employment, you must produce a written statement of employment terms and conditions by law anyway. It must cover areas such as pay, working hours, holiday entitlement, job title and description, and place of work. Make sure your employment contract includes a clause that gives you the right to amend the employee’s job description and place of work (or else you may be in breach of contract if the business premises were to change). Employers should use fair and consistent procedures with their employees, including for disciplinary or grievance matters. You must actually refer to your procedures for handling disciplinary, grievance and dismissal matters in an employee’s employment contract. It is best to get your employment policies in place as soon as possible (which could be found in a staff handbook). It helps to get your employees to formally agree to them too. The handbook or policies don’t need to be long-winded or very detailed, but will be crucial if you ever need to rely on them in future. It can be quite difficult to dismiss an employee depending on the circumstances. In certain cases, it will be fair to dismiss them but you generally need to act in a fair and reasonable manner following a fair process. A fair dismissal may be as a result of an employee’s poor performance or their role becoming redundant. Even then, you’ll have to be careful how you handle it. In rare cases, you may be able to dismiss an employee without notice if they have committed an act of gross misconduct. If your dismissal is unlawful then you could end up in front of an employment tribunal and the amount of compensation may be unlimited. At Lexoo, we’ve curated panel of lawyers who specialise in employment law. Whether you need a full service firm; an independent lawyer or ‘virtual’ firm with lower overheads and reduced fees - we’ve got you covered. Declan trained with a large international law firm and worked as an associate in its Employment team for over 4 years. He now works at Doyle Clayton, one of the largest and most respected specialist Employment and Workplace law firms in the UK. Declan has extensive experience of advising employers, many of whom have a global presence, on compliance with UK employment law practice and procedures. 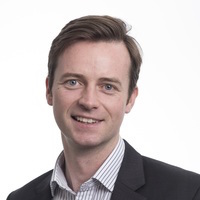 Declan also takes a keen interest in helping early stage Tech Startups get to grips with law that is relevant to them and has previously spoken on Employment law issues for Startups at Digital Shoreditch, a leading Tech industry event in the UK.